Manchester United are set to take on League Two strugglers Yeovil Town at Huish Park in the FA Cup fourth round at 19:55 this evening. Jose Mourinho has named the starting XI with full attention being on Alexis Sanchez making his Manchester United debut four days after joining the club from Premier League rivals Arsenal. There has been a great deal of rotation with Wednesday’s trip to Wembley Stadium to face Tottenham Hotspur on the manager’s mind. Among the starters are goalkeeper Sergio Romero, big summer signing Victor Lindelof, fringe player Matteo Darmian, youngster Scott McTominay, and Marcus Rashford gets the nod up front. 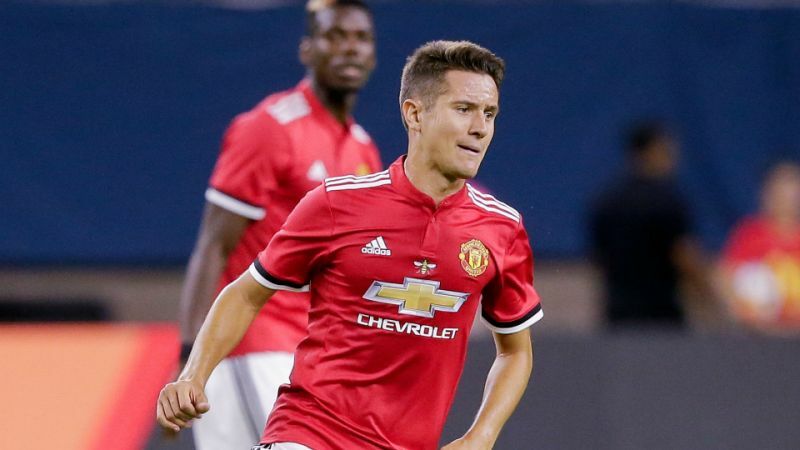 Another starter this evening is Ander Herrera. The Spanish midfielder has been in and out of the starting lineup this season. Last season’s Sir Matt Busby Player of the Year faces a battle for his long-term future at Old Trafford with Paul Pogba and Nemanja Matic being the regular central midfielders. However, Herrera reaches a milestone this evening as he is making his 150th appearance in all competitions for us. It will be his 16th in the FA Cup to go along with 102 in the Premier League, 21 in Europe, 9 in the EFL Cup, 1 in the Community Shield and 1 in the UEFA Super Cup. Previous Article← Confirmed Lineups: Man Utd vs Yeovil Town – Sanchez Starts!